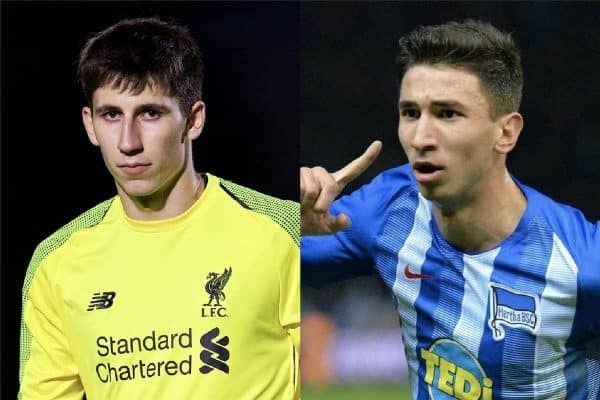 Liverpool are not back in action until the visit of Leicester on January 30, but 11 loanees could turn out for their temporary clubs over the weekend. The Reds are enjoying a productive, lengthy break between games as they prepare for a renewed push in the Premier League and Champions League in the final four months of the season. Jurgen Klopp took his squad to Dubai for a warm-weather training camp, with Leicester not making the trip to Anfield until Wednesday night. However, there are a host of other storylines playing out as Liverpool’s loanees take to the field. It could be a big day for Kamil Grabara at AGF Aarhus, with the 20-year-old potentially in for his first competitive game at senior level. Grabara joined the Danish side during their winter break, and manager David Nielsen rotated his goalkeeping options over three mid-season friendlies this month, meaning the Pole only turned out once. But he could be handed the gloves for Monday night’s Atlantic Cup group stage clash with FK Jablonec, which would mark a significant milestone for a player with a very bright future. Over in Germany, Marko Grujic is set to make further progress on his return from an ankle injury as Hertha Berlin take on Schalke in the Bundesliga on Friday. Grujic made his first appearance back with 57-minute outing in last weekend’s 3-1 win at Nurnberg, after which manager Pal Dardai lavished remarkable praise on the midfielder. “This is the first time in my life when I didn’t have to settle with the middle shelf of the supermarket, instead I was able reach the top shelf,” he said. Hertha are yet to suffer defeat when Grujic has featured—a similar quirk played out over two-and-a-half months in the Championship with Cardiff last season—and Dardai will be hopeful of another influential display in their top-six push. 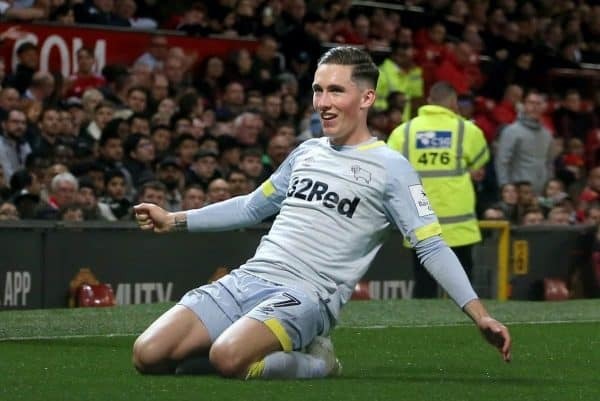 Elsewhere, both Harry Wilson and Herbie Kane will be in action in the FA Cup fourth round on Saturday. 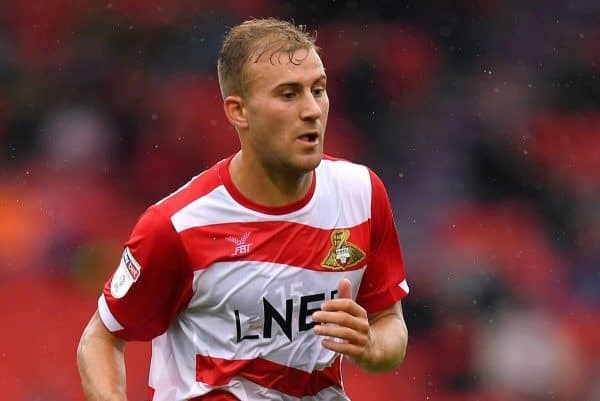 Derby County and Doncaster Rovers have an excellent chance of reaching the next stage as they take on Accrington Stanley and Oldham respectively, with the young Reds loanees central to their success. “It’s 63 years since the club was in the [fifth] round. “Hopefully in another 50 or 60 years people are asking who was in that Doncaster side that got to the fifth round and they’re taking about Marquis, Coppinger and reeling a few names off. Kane, a key player for McCann who missed the recent 2-2 draw with Burton Albion with a groin injury but is expected to return this weekend, has the opportunity to forge an even stronger reputation at the Keepmoat.